Einstein once said ‘’I speak to everyone in the same way, whether he is the garbage man or the president of the university’’ This quote simply elaborates the situation and morals of our ruling elite and their attitude towards women. In the past week we have witnessed a series of events that have occurred in our country directly related to women. Starting from unique and quirky statements from people sitting in “Council of Islamic Ideology” up to Hafiz Hamdullah abusing and threatening a woman, we can easily understand that how badly women are being treated in Pakistan. I have seen many people arguing on social media about the personality and political ideas of Shireen Mazari and the opinion of Marvi Sarmad regarding many different social issues in the country. With due respect to all these social media commentators and analysts as well as some media anchors, these issues are more of a symbolic nature that represent the attitude and mood of the people towards women in Pakistan. You may find hundreds of differences with Marvi Sarmad and Shireen Mazari but when it comes to being a women they deserve respect. What Khawaja Asif did to Shireen Mazari and Hafiz Hamdollah to Marvi Sarmad is actually a Man vs. Woman thing. Do not try to neutralize these crimes by simply throwing some dirt on the characters of these ladies. As I said earlier, even I do not agree with many ideas that Marvi Sarmad discusses or the things that she believes, but does it give me a license to start bashing her in public. What a pity, what a narrow piece of thought that is when people start justifying such grimy, bawdy and unscrupulous acts that are considered to be against decency in any civilized society. According to a study conducted by CAMP 63.88% of the Pakistanis – do not have knowledge of fundamental human rights. This is a grave situation which mainly leads to domestic violence and deprivation of a vast majority of population of its due rights. It is believed that approximately 1000 women are killed in the name of honor each year in Pakistan. This figure is alarming as it is nearly 25% of the total honor killings around the globe. Now my point is that when we start finding justifications and lame excuses, for incidents like I have mentioned above then we end up finding ourselves in these situations. We actually encourage violence against women when we keep silence over these incidents like that of Khawaja Asif and Hamdollah. Honor killing is not the sole issue that women in Pakistan are facing. There are many aspects of violence against women. Vitriolage is another heinous issue that women across the country are facing. Domestic violence is the biggest problem they face. And if I say our religious authorities have promoted this domestic violence by misinterpreting Quranic teachings, it will not be an exaggeration. 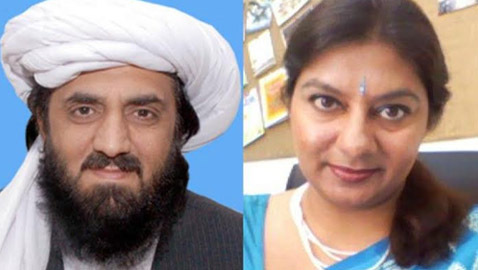 One such example is of Molana Shirani of Council of Islamic Ideology – that a man can beat his wife up to an extent that it does not break her bones. When they talk of Islamic teachings why do they forget the respect women received from Prophet Muhammad (P.B.U.H). The Holy Prophet(P.B.U.H) would stand up out of respect to his daughter Hazrat Bibi Fatima. What does it prove? Do these men understand that? I do not think so, because if they start understanding the originality of Islamic teachings regarding women then their monopoly comes to an end. Domestic violence is not only confined to beating by men but it covers many aspects of women rights. She is at ever greater risk of psychological torture. She is denied access to schools and if there are any they are blown up by extremists. She has no say in family’s decision making. She is deprived of her property, that she is ought to get as a heir of the deceased. She is not getting the required nutrition. She gets to eat what is left. Some people try to fit her nutritional deficiencies as a sacrifice that she is offering to her family, but then does her family acknowledges that sacrifice and save her from Nutritional Deficiency Anemia? After depriving her of all she deserves we are proud that we have a strong impact on our wife. I have seen people praising men because their wives cannot dare to speak in front of them, let alone talk about her rights. We need to understand on this day that women empowerment is a need. Educate them if you want to have a well-mannered and well oriented future for your next generation. Free them from the dungeons of feudal lords and extremist mindsets. She is the fragrance in your society and let her be that, let her be free – its her birth right. Ishaq Reza Kundi is in final year of MBBS, enrolled in Quaid e Azam Medical College Bahawalpur.